A more environmentally respectful and responsible solution was required for the treatment of waste water. The construction of an irrigation system using layers of gravel and special plants to clean the waste water allows the cleaned water to seep naturally back into the ground. 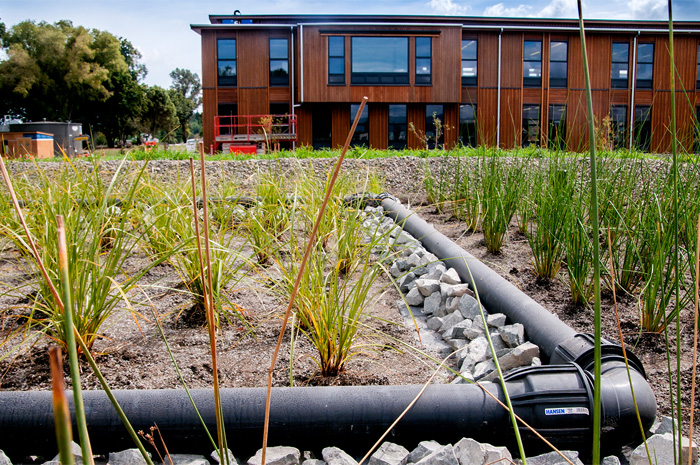 Combined with the rain collection system on the roof, Te Uru Taumatua functions as a closed loop water system. Te Uru Taumatua uses rain rather than town supply water and cleans the water before returning it to the ground aquifer.